A brave new oscillator not in a concept watch, but one which will be commercially available from launch. 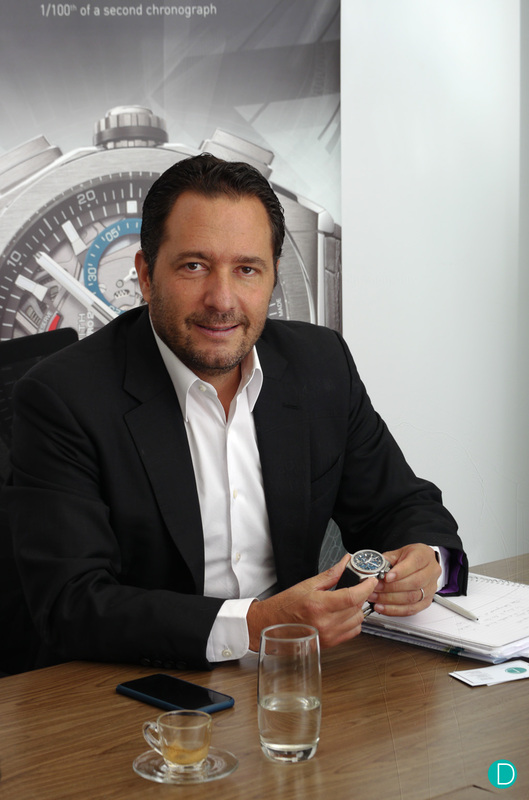 We met up with Zenith CEO Julien Tornare in a meeting where we discussed wide ranging topics. In the meeting, he revealed the new project Zenith is working on. A new oscillator which will offer huge leaps in performance. Comprising only of 2 parts (to replace 31 in a classical escapement), and will be protected by 21 patents. This new oscillator will be in a new watch, which will be commercially available from the launch on September 27, 2017. Here is the advanced information. More later! This project is the Defy Lab project. The project is almost complete, and will be presented to the world in a special event in Tokyo on September 27, 2017. Watch out for our report of the event. (Check out our Instagram @Deployant and our Facebook page for live updates by pictures and video. Presentation event starts 7pm Tokyo time). 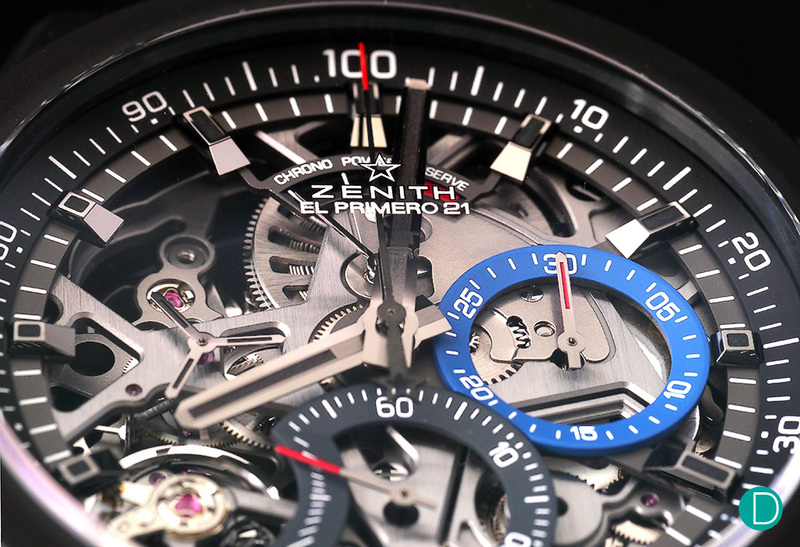 The Zenith Defy El Primero 21 was released in Baselworld 2017. The new oscillator will reside in a time only watch which will be commercially available from the September 27 launch date. It will be a limited edition of 10 piece uniques. The project will unveil the development of a new Zenith oscillator, which is claimed to be a quantum jump breakthrough over the Huygens oscillator. The new oscillator will be made of silicon and is very large. The first watches will feature an oscillator which will be as large as the dial. Julien tells us that further development work will be done to curve the surface into a smaller volume without compromising on performance. The design of this new Zenith oscillator is very simple, and comprise of only 2 components which will replace 31 in a traditional Swiss Anchor escapement. Key characteristics of this new oscillator is that it is constant force, amagnetic and athermic. It will also feature ground breaking chronometry. Tests currently underway in the Zenith labs show that precision is below 1 second for the first 24 hours, and remain at below 2.5 seconds over a 55 hour period. In all positions. The new oscillator will be lubrication free, and have a longer maintenance life cycle. 21 patents are registered for this new oscillator. Focused, driven, Julien has the energy and enthusiasm that will serve him well in his task to propel Zenith to where his vision takes. We wonder if it is similar to the operating concept of the Girard-Perregaux Constant Force Escapement, and Julien hinted that there are similarities in the some of the operating principles, but the new Zenith oscillator is much more. When asked if he has seen or know about the Dominique Renaud DR01 TWELVE FIRST project, he replied negatively. But we do note that while Dominique’s project is still under development, so far we have only seen computer renderings which we shared with you on the link above. To date, not even a concept watch to demonstrate proof of concept has been released yet. 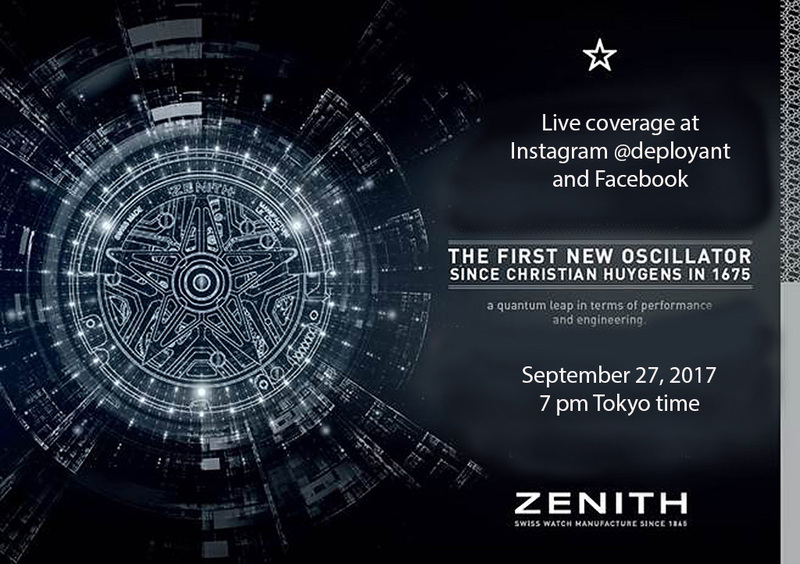 But the Zenith new oscillator will be incorporated into a commercial product, available on 27 Sept.
What will be unveiled in Tokyo will not be a concept watch. It will be the first production of 10 pieces, all unique. The 10 pieces are now currently being offered to special clients worldwide. The watch, which we understand is provisionally called the Defy X-Time Lab, will be time only, featuring the entire oscillator covering the dial, and three hands. The price is a very exciting CHF 29,900 and will include a First Class air ticket from anywhere in the world for the customer to go to Le Locle to collect the watch in person as part of the special experience package. Julien showed us the photographs of the 10 watches, but as they are currently under embargo, we are not able to share the information or photographs with you. Watch our report from the event for those photographs. The strategy will be to use this new oscillator in other Zenith watches, eventually with the entire collection using this new system. Perhaps a leaf from the Omega strategy of increasing the usage of the Co-axial escapement system in all the watches. Stay tuned for the full interview of Julien Tornare in a few hours. Link here will be active when the article goes live.